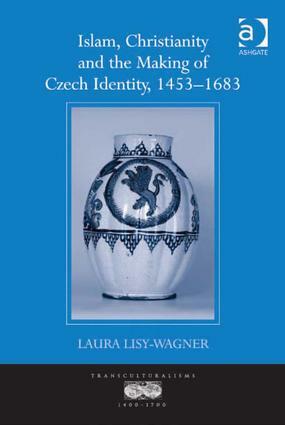 Unlike many narratives about the Czech lands, which place them on the periphery of their own history, this study considers Czechs as central characters, looking both east and west to find their place in the early modern world. Islam, Christianity and the Making of Czech Identity, 1453-1683 works through the descriptive and ethnographic texts produced by Czech speakers about Islam and the Ottoman Empire to show how they used this discourse to create Czech identities. Rather than simply constructing identity in opposition to the Islamic Other, Laura Lisy-Wagner shows how these authors played the Holy Roman and Ottoman Empires off each other, creating an autonomous space for themselves in between. Lisy-Wagner introduces sources that are new to English-language historiography and uses them in a way that is new to Czech historiography as well. The chapters are organized based on different categories of agents-travelers, ethnographers, religious leaders, artists, and political revolutionaries-whose voices cast ideas of Europe and Czech identity in the early modern period in a new and different light. Contents: Introduction; the deserts of Bohemia; From Bohemia to the end of the world; Turning Turk; You who are God’s warriors; That incomparable Moravian; Four flowers and two-tailed lions; Between the eagle and the crescent; Conclusion: exit pursued by a bear; Bibliography; Index. Laura Lisy-Wagner is Assistant Professor of History at San Francisco State University, USA.